Berkeley prides itself on being the birthplace of the free speech movement but is that where it will end? 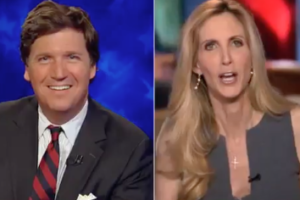 The New York Times’ recent piece on the Ann Coulter-Cal-Berkeley free speech controversy portrayed conservatives as being audacious for fighting for the right of freedom of speech at liberal college campuses. Ann Coulter, conservative commentator, withdrew from her speaking engagement at the University of California-Berkeley after threats of protests and change in date and venue kept emerging. What is the Law on Campus Free Speech and What Should Berkeley—and all Universities—Do to Protect It? Richard Cravatts, PhD, said that the University of California-Berkeley “repeatedly abandoned its responsibility to protect free speech, deciding instead that it would cave to the totalitarian demands of whiny progressive campus activists”. Ann Coulter had her speech canceled by the University of California-Berkeley, then the university reversed that decision and said she could speak in May. Huh? !